Hello friends, I'm changing gears today putting away the Christmas cards and gift wrap. I brought along a selection of Valentine stamps to have on hand as we move into the New Year. They are stored in a 7 x 9 binder plain white and boring. So today I changed that by taking a sheet from my Collage Art Stack and randomly stamping all over it to make some cover inserts for my binder. These binders make great little albums too. This was a super easy and fun project to do. same on both sides so it can hang in a window too! The stamps I used are Quietfire Design and die cuts are Spellbinders. I'm entering this at Die Cut Divas December challenge. What's your favorite Christmas decoration? 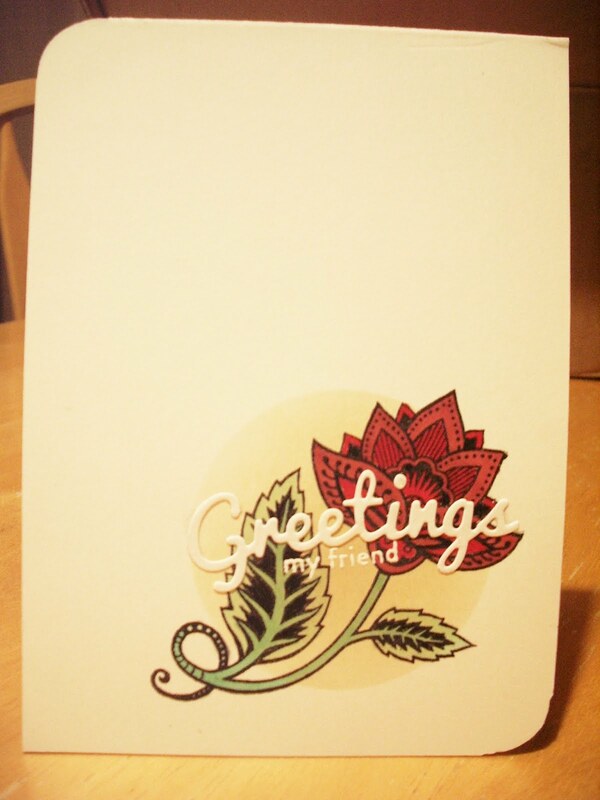 For this card I stamped the Quietfire Design Poinsettia three times with die ink. Once in green for my base panel and then twice in pink for the top layers. then shaped them before setting aside. Next I stamped the Merry Christmas before attaching the panel to my glimmer mat. Which was then adhered to the card base layer. The final step was to attach the flower pieces with pop dots. Hello friends, today I'm playing catch up. The first share is a stamped collage postcard using the Dragon from Whimsy, Awesomely Artistic and Lovely as a Tree from SU!. The second a thank you card using an older Hero Arts stamp set. And my final share is a silly ATC titled Tropical Snowman made from an advertising flyer. The ATC and Postcard are available for trade. Hello, today's share is a card I made using the Winter Wonderland sentiment from the previous post. Quietfire Design stamps and sketched trees. Hello crafty friends, this morning I found some time to make a few cards, it took me three tries to put the sentiment on my stenciled Santa card. Then this evening I discovered a video in you tube and voila sentiment printing just got a whole lot easier for me. of a sentiment or other stamped images. 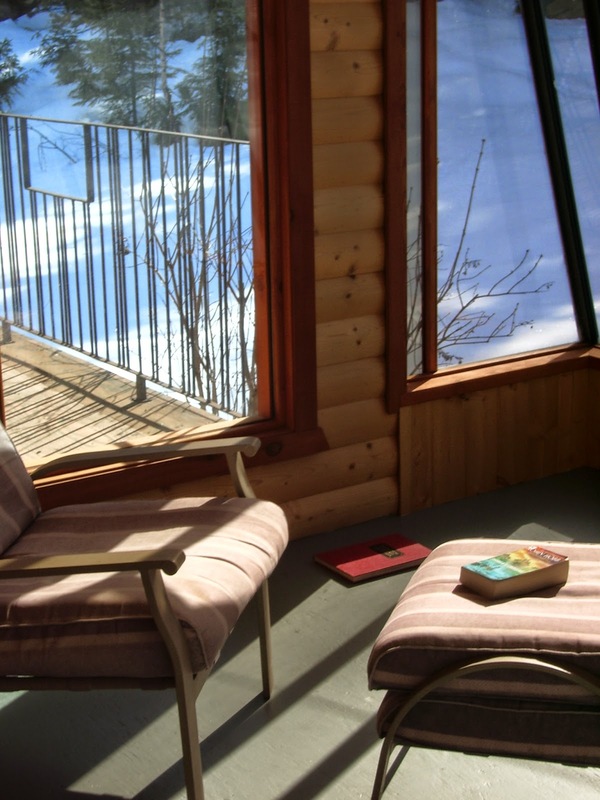 Using a Quietfire Design stamp here. Close up view of double stamped sentiment. This was the card that challenged me, Joyful sentiment is from SU! I cut out Santa with my Slice and used it as a stencil. Paper from my stash and stamp from Quietfire Design. Hi friends, this evening I've got the Christmas blues going on but it's a good thing! 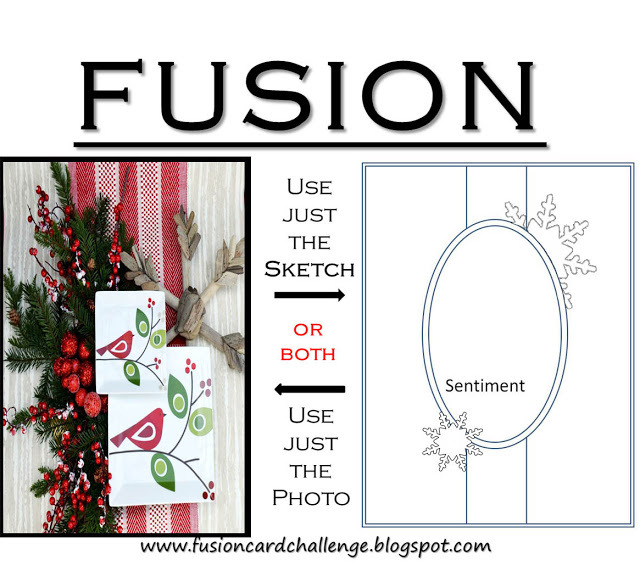 I'm playing along in the Fusion card challenge -blue Christmas. This card was a breeze to make I added some sparkle to the patterned paper but sadly it doesn't show up. Used a gorgeous stamp from Quietfire Design and SU! papers. 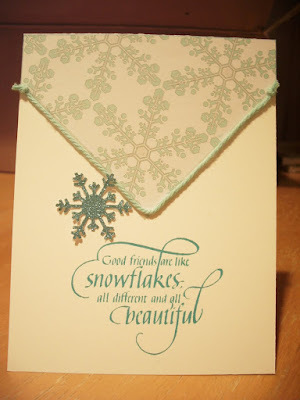 This sweet card is from Shauna for Nov SOS Card Chain Challenge. Angel Christmas card exchange on Age of Elegance Flickr Group Exchange. Good morning , let the clean up begin here's a view outside this morning. a mix of papers from my stash, die cuts and SU! stamps. 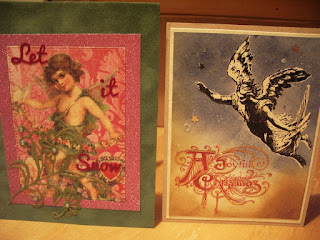 In the cards below I used my stamp for the snowflake details on the RH one and stenciled through my die for the LH one. I really like how this bookmark tag came together, it's going to look great hanging on the front of a gift bag. I'm always glad to answer any questions if you'd like to know more about how my cards are made. Hello, it's another snowy day here in the valley almost 9" today and it's still coming down hard. today I made this set with case for her. I used some patterned paper from my stash and stamps from Quietfire Design and SU! Quietfire Design has new Christmas stamps and I just could not pass them up. Where all the fairies hide card. Joy, pine and poinsettias frame. For the trees on the card I used the Magnolia Winter Forest stamp. The pine bough stamp on the frame is from Hero Arts. The Quote and Joy ornament stamps are from Quietfire Design. 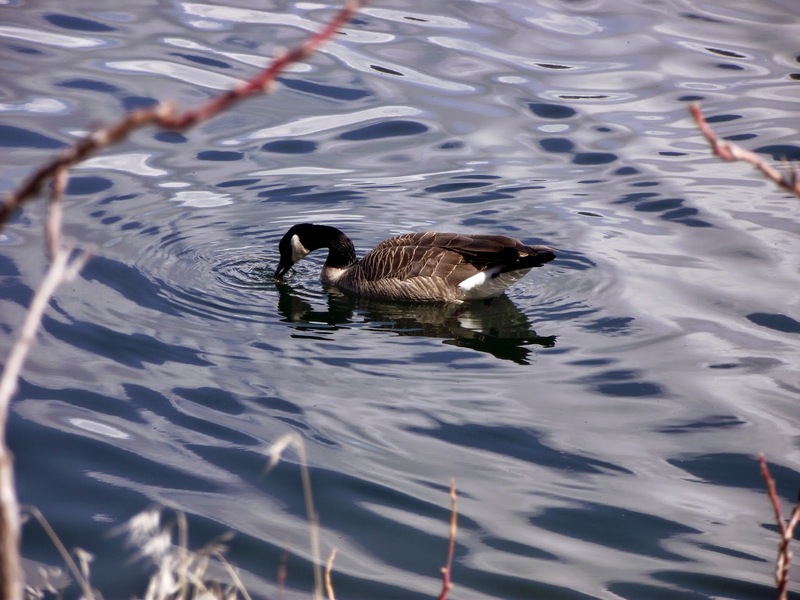 Arlene in CA as part of Deborah's international SOS Card Chain Challenge. Hello friends, is it really December first already. Age of Elegance Flickr Group. Can you guess the theme? 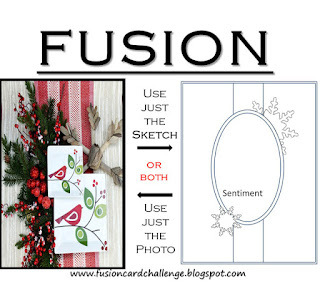 Sentiments are from Quietfire Design and the images were online freebies. It feels good to be back, thanks for looking! 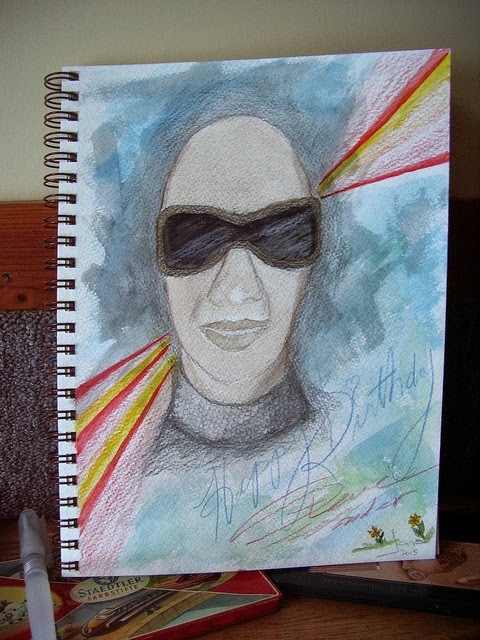 This is just a quick share of a portrait page I did in my Art Journal. The journal is 9" x 12", 140# watercolour paper that provides a lot of texture when colouring or painting. For my portrait I used pencil crayons and W/C paints. It's been over 20 years since I've done a portrait. The inspiration struck in the last few minutes of watching a TV program so all but the initial oval sketched is from memory only.